The highest permissible concentration of carbon monoxide in the workplace is 30 ppm (parts per million). Escaping carbon monoxide can very quickly accumulate to a life-threatening extent in enclosed and semi-enclosed spaces. 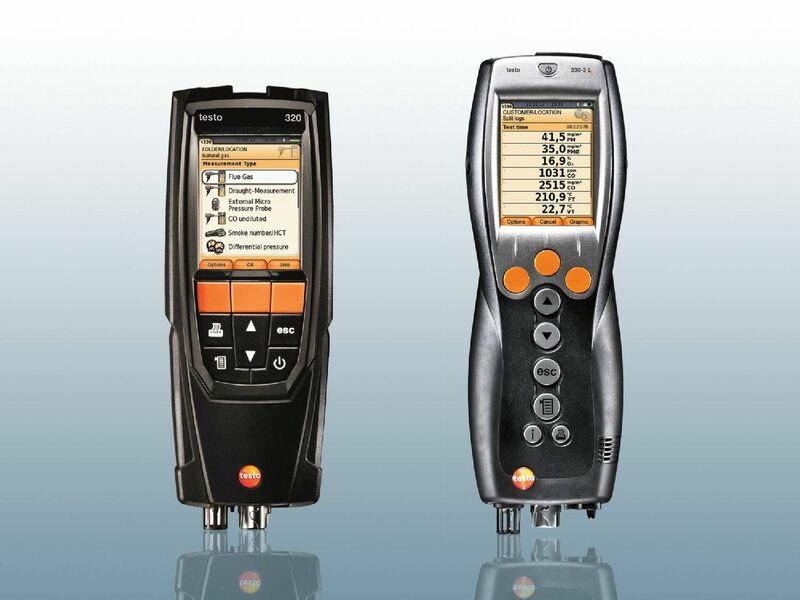 A Testo carbon monoxide meter enables reliable detection of this insidious gas. solid fuels, such as wood and charcoal. Carbon monoxide is colourless and odourless and prevents the blood from taking up oxygen when too great a concentration is breathed in. Breathing in a CO concentration of 700 ppm in an enclosed space leads to death after around 3 hours in an adult. Can immediately be used at lightning speed without any zeroing phase. Detects carbon monoxide in the environment, even in the smallest of concentrations. Easy and safe to handle. Optical and acoustic alarm if limit values are exceeded. With optimum accessories for special applications. Particularly easy operation due to compact, handy design. High-precision electrochemical sensors for long-term stable CO measurement. Highly efficient flue gas analysis, also via smart App control. CO sensor: In order to be able to detect even small CO concentrations, a CO meter should have a CO sensor with a high level of measuring accuracy and a large measuring range. The testo 315-4 warning/measuring instrument is recommended – also ideal for the installation and maintenance of gas boilers. CO monitor: An easy-to-read display ensures that you can record measuring values quickly and respond to a raised CO concentration immediately. CO warning: Is an optical warning signal sufficient? Where CO meters are involved: certainly not. An additional acoustic warning should really be standard for CO measurement. This means safety is still guaranteed, even without being able to see the meter. Zeroing phase: CO meters without a zeroing phase are ready for use straight away. Important when you have to be quick. Little tip: keep CO meters on you with a belt clip. This means they are even more quickly to hand for fast checking. 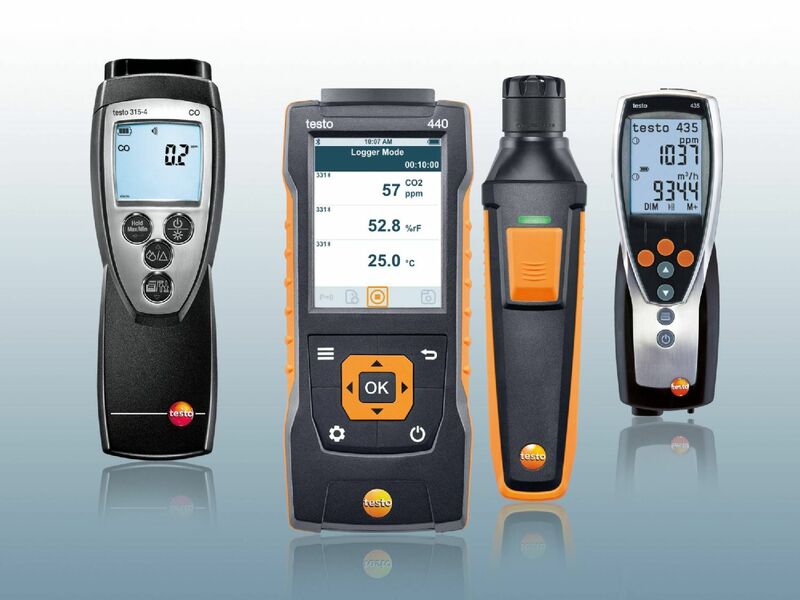 Testo's CO meters mean you are ideally equipped – and can do your job even more reliably, professionally and quickly. 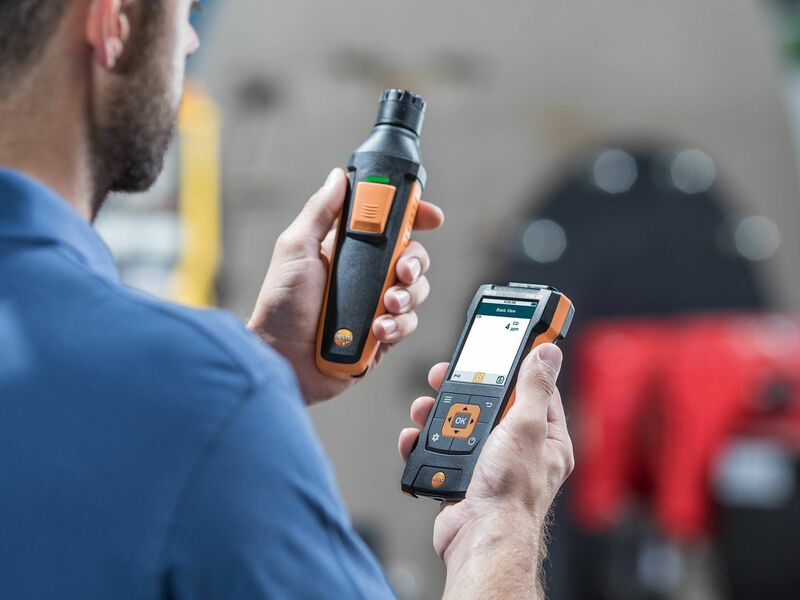 Thanks to its simple and robust design, the testo 317-3 is the ideal tool for absolutely reliable routine measurement of the CO concentration on oil and gas systems. The belt clip on your clothing means it is always to hand. CO quickly determined: no zeroing phase means the instrument is ready for use straight away. Always perfectly prepared: thanks to permanent CO probe. Doubly reliable: gives an optical and acoustic warning when CO is present. 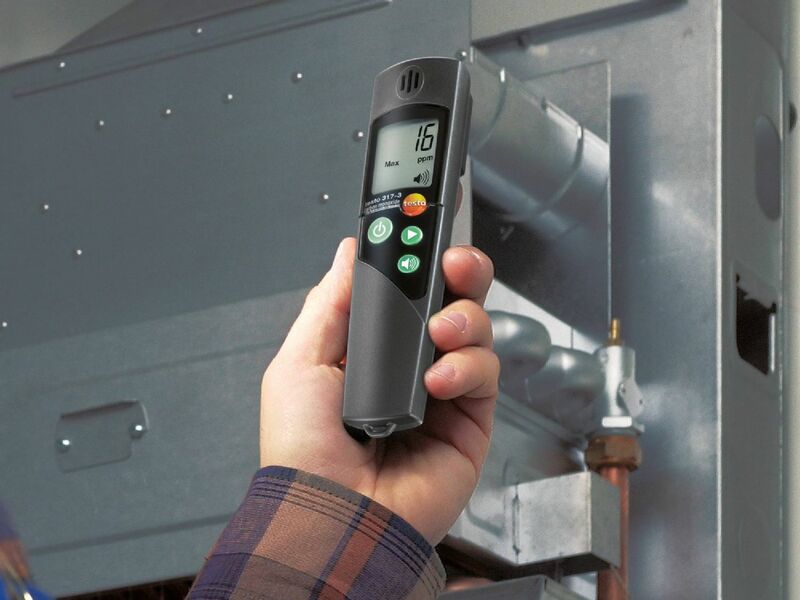 CO measuring range in flue gas or indoor air: 0 to 1,999 ppm. What ambient parameters would you like to measure? Do you need reliable, high-precision measuring instruments for more parameters? In addition to carbon monoxide, carbon dioxide is another important parameter in terms of monitoring indoor air quality, thermal comfort level or storage conditions. A Testo CO₂ meter means you are always on the safe side. 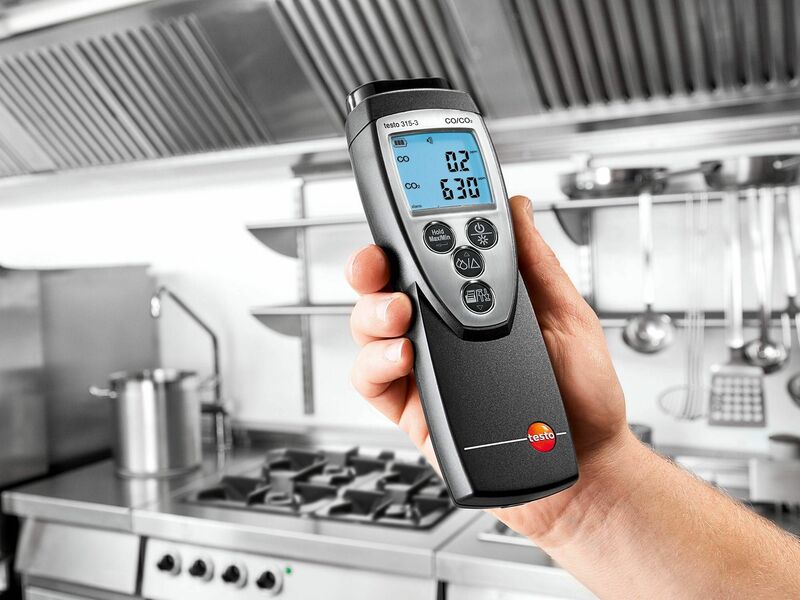 Our tip: monitor CO₂ and all other important IAQ (indoor air quality) parameters with just one instrument: the testo 160 IAQ which has been tried and tested many times. Industrial and environmental noise has to be monitored in order to prevent any harm to health at the workplace and at home. 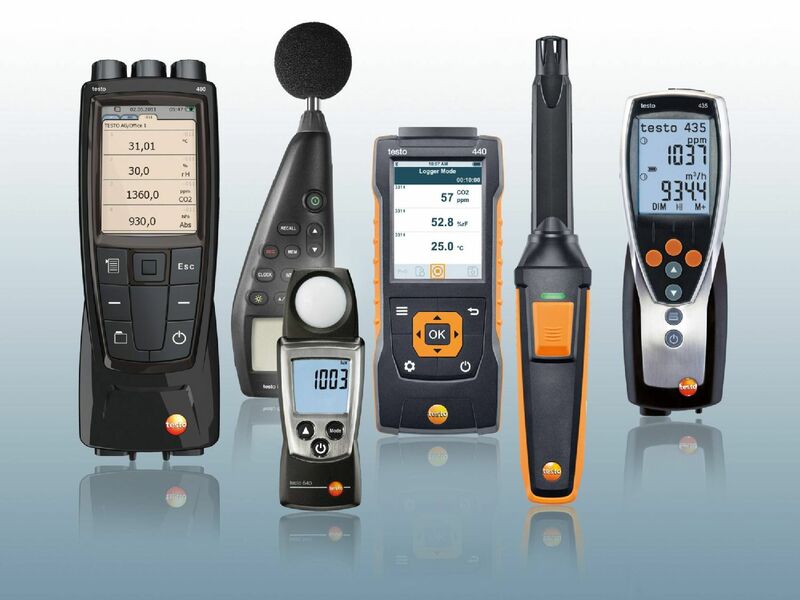 A Testo sound level meter enables reliable determination of the standard-compliant sound level – no matter whether indoors or in public places. In the process, you have the choice between simple or complex applications with additional functions. Light conditions at the workplace are governed by standards and limit values. 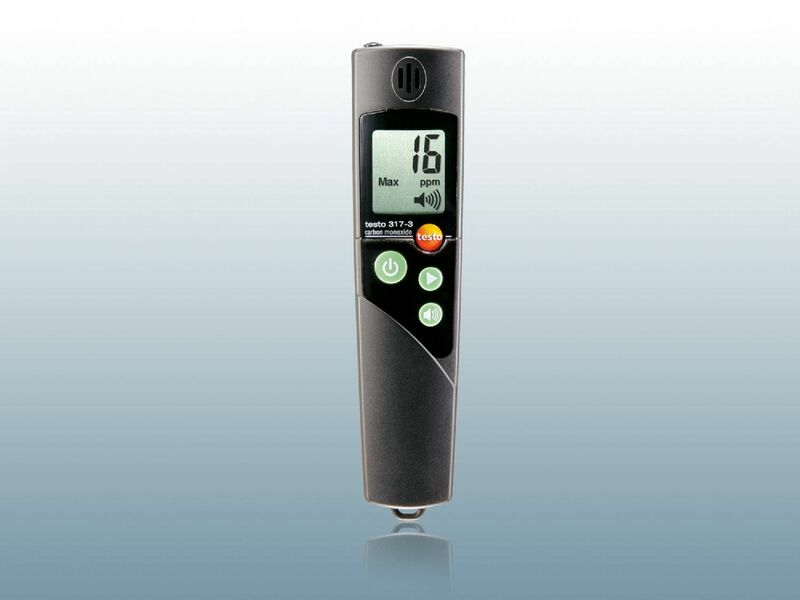 Use a high-precision Testo lux meter for the optimum lux values in your area of responsibility. And in doing so, count on absolutely perfect operating convenience. 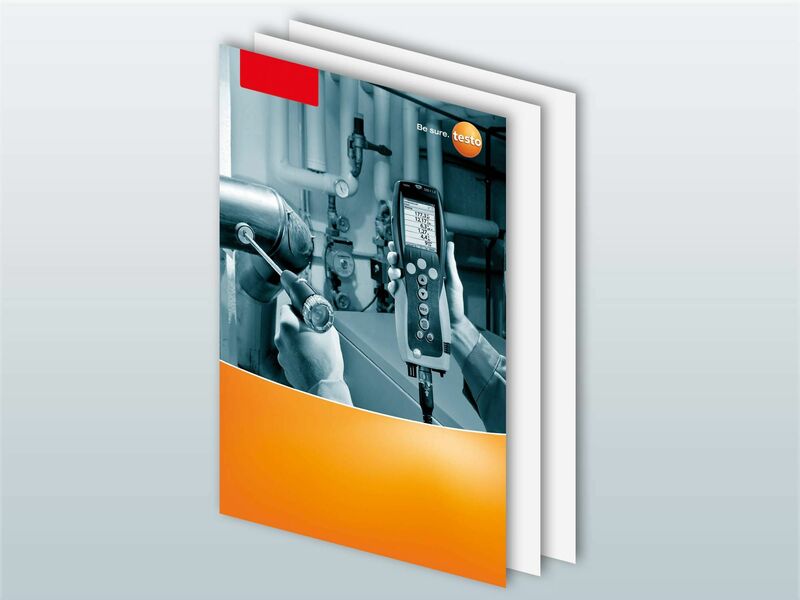 Which rpm measuring instrument is best suited to your tasks? You will find out here. 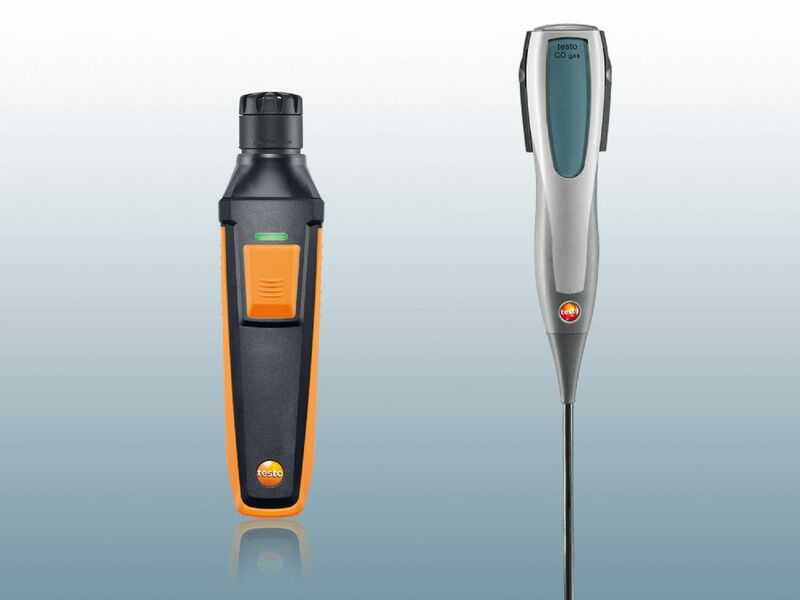 Testo offers you a multi-layered range for contact measurement via a measuring wheel, reflective marker or light beam – ideal for industry, air conditioning technology and other fields of application.